Every so often I’ll realise I have this weird little cache of recipes I’ve tinkered with stored in my Google Docs, and share one. So here’s my chickpea salad recipe, which I came up with back in my cafe days. It is a fab substitute for tuna salad which is super gross and I make a face just thinking about it. This is great for sammies (as pictured) and also to throw on top of a nice green salad. Or get fancy and make vegan salad Niçoise! Using a strainer, rinse chick peas well. Using food processor, process chick peas until no chick peas are left whole (approx 5-10 seconds). If you don’t have a food processor, you can go at this with a potato masher until mostly all of the chickpeas are smashed. Empty mashed chick peas into a large bowl. Process the white part of the green onion, garlic, celery and pickles for a few seconds, until well chopped, but still chunky enough that the celery will offer some crunch. Add this to the chick peas. Add remaining ingredients and mix well. Store in a tightly sealed glass or plastic container in the refrigerator. Use within 3-4 days. Nom on a sammie or a salad, or throw it in a bowl and scoop with some Crudités. Yeaaah! Chickpea salad on a lovely big sandwich! Digital Dozen, for your viewing pleasure. Hello once again for your sort-of weekly link distraction. 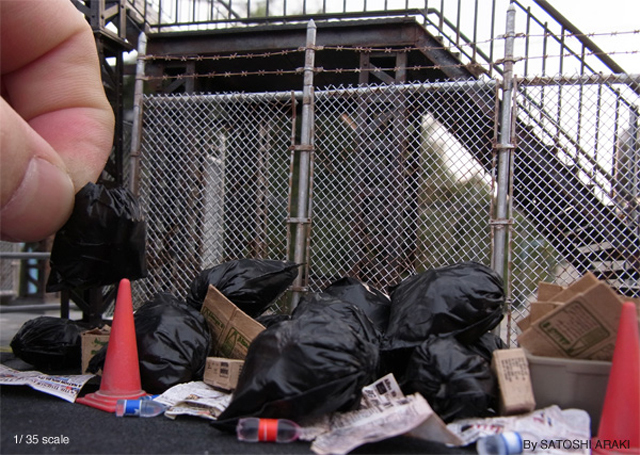 These miniature street dioramas are almost hard to believe. So detailed and tiny. And gritty! 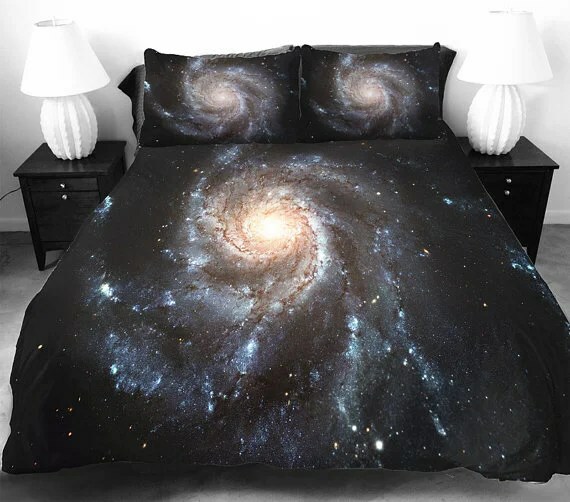 I am seriously considering dropping some money on a galaxy bedding set, because – why wouldn’t you want space all over you while you sleep? Exactly. 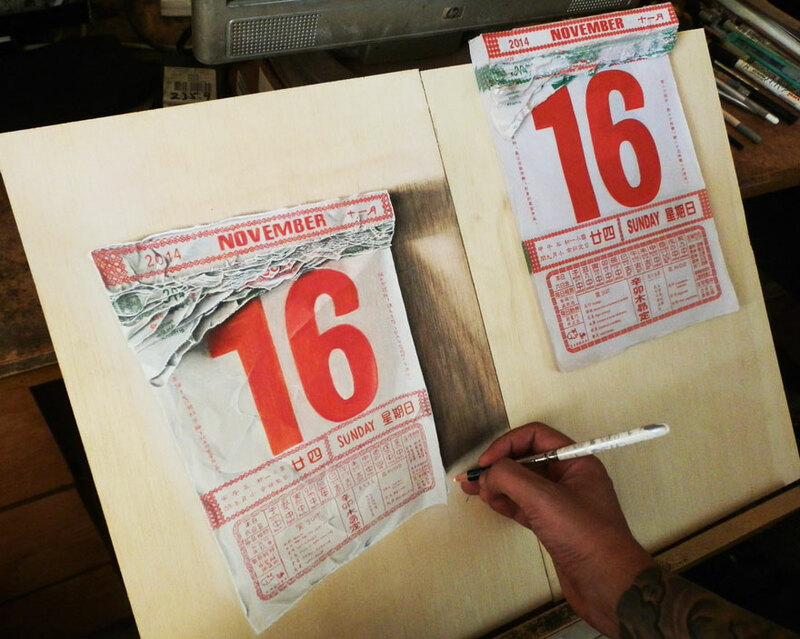 These flipbooks are hypnotic and amazing. I’m not sure I could pay this much for them, but they’re seriously cool. 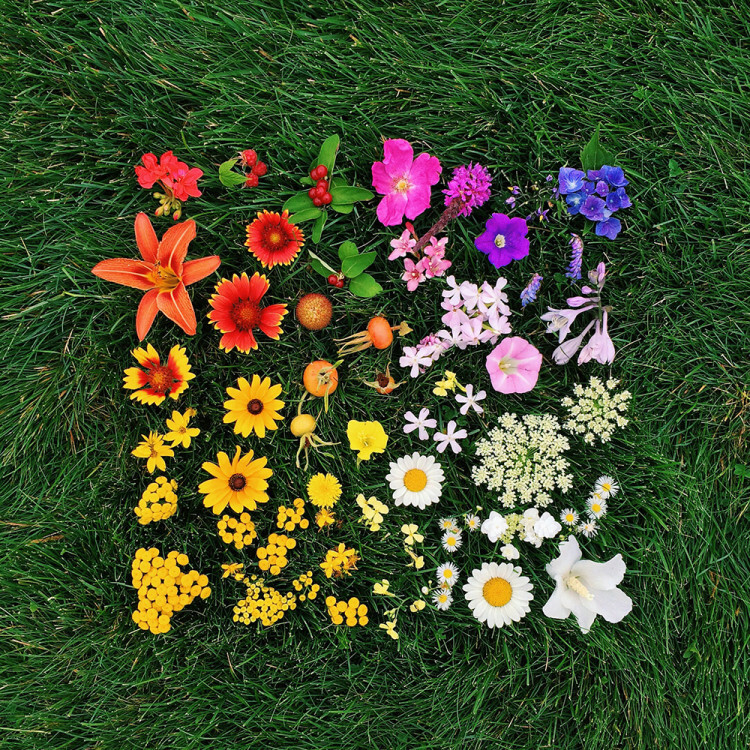 I’m a sucker for gorgeous, colourful and neatly ordered photos. So this is like candy to me. The artist’s Tumblr is full of beautiful images too. 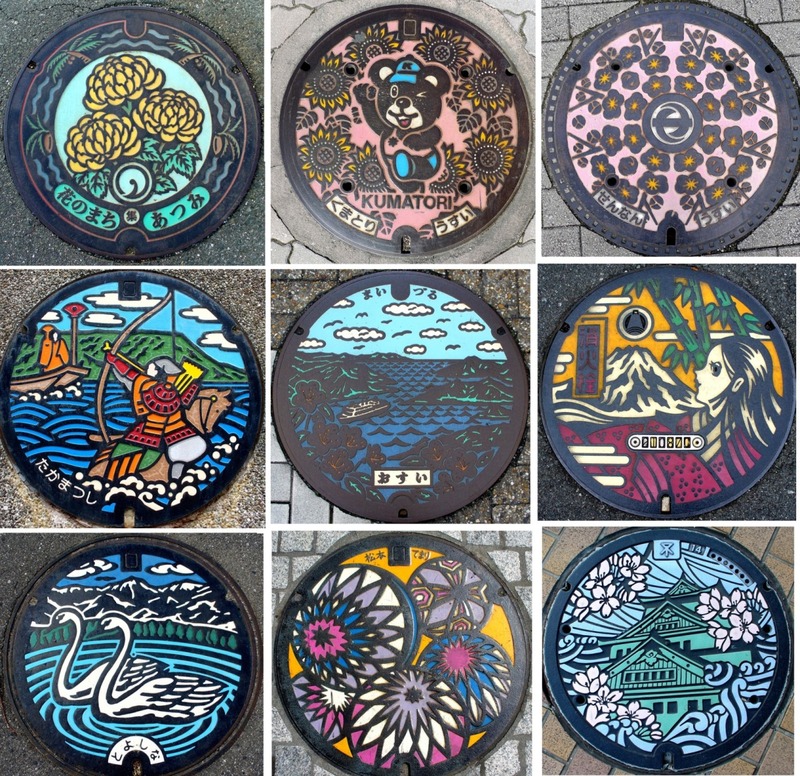 Imagine how lovely city streets would be with manhole covers like these, from Japan. Although Think Geek are a little overpriced & annoying with their email marketing, they have cool stuff. Like these. I want ’em for my desk at work. 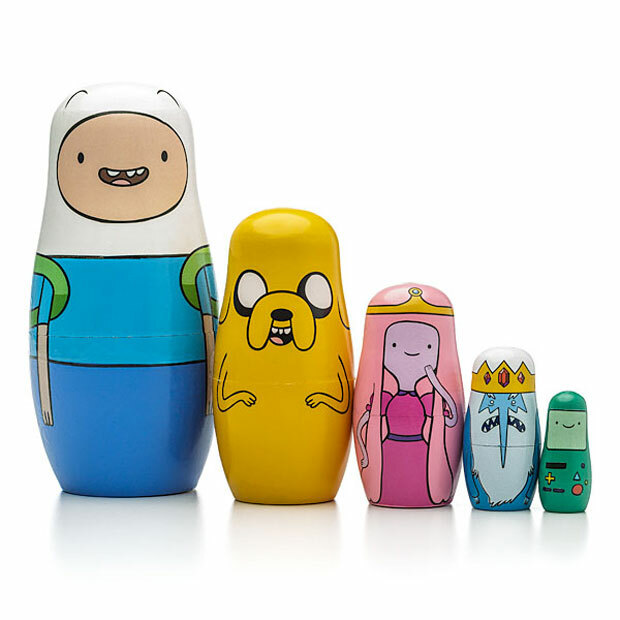 And of course, I can never stop at one Adventure Time mention. Look at this great gallery of tattoos! Would it be weird to have lots of clocks? Because I want lots of these ones. SO many. 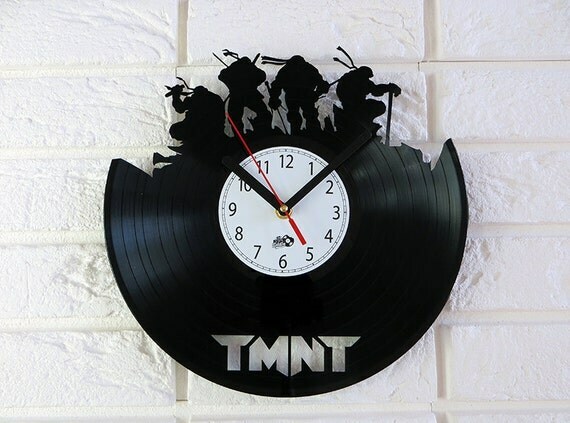 Especially this one, even if it is super-new TMNT. Hey Toronto. You’re lookin’ good. 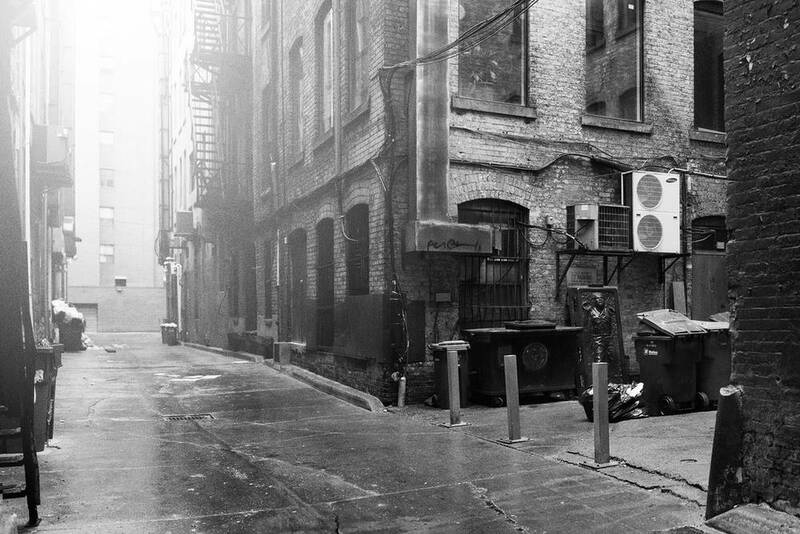 These are such wonderful, sometimes subtle, photoshops of Star Wars in the real world. 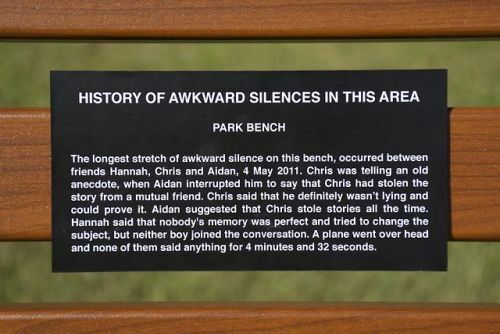 I am quite fond of this artist’s work, making tongue-in-cheek museum labels for the outside world. This is in the realm of “I don’t even understand how this can be a thing” art. The detail is amazing. A national day. January 26th. Australia Day. Invasion Day. Many many times since I have been gone from Australia have I lamented my problematic feelings toward Australia Day. I still feel like I need to acknowledge this, and have it a spoken issue rather than one I would rather ignore. TL;DR: I love, but am frustrated by Australia. There’s a lot of things I love about Australia. It’s a beautiful and unique country with a rich history of culture and nature. It’s where I’m from, it’s part of my identity and the history of my family, also (I am descended from both convicts and settlers from the UK). This doesn’t trump the issues that I feel passionately about, however, but needs to somehow exist along with them. I am enormously privileged to have grown up a white Australian. It is atrocious how little education I got during my secondary schooling years about Indigenous culture, the Stolen Generation, deaths in custody. It’s a shameful part of Australia’s history that still plagues it now – I saw and took part in that racism growing up, and have seen it expand to impact the ‘multicultural’ society of modern Australia. My politics are extraordinarily left and little-L liberal, so it’s no surprise that the political climate federally and also on a state-level makes me cringe. Australia’s PM, Tony Abbott, is an embarrassment to anyone who holds Australia dear and is doing what seemed impossible – making Australia seem even more culturally insensitive and anti-lower class than it ever has before. I was lucky enough to find myself a path that meant a chance to study anthropology, ethnography and Australian Indigenous culture specifically. It opened my eyes to the fact that there need to be many caveats when you celebrate Australia Day. One important thing I keep coming back to is the historic and modern treatment of Indigenous people. There can be no denying that Australia is what it is now, as a modern and multicultural society, tinged with xenophobia and nationalism. There is no reason this modern society can’t acknowledge the importance of pre- and post-European periods, understanding the importance and impact of it all. Yet even the current leader of the country essentially denies the fact there was a rich culture of people living there before Captain Cook arrived and everything changed. I love Australia, I celebrate it in many aspects. I reserve the right to criticise it and the people who are from there, including myself – I still regularly need to register my privilege and background, especially being transplanted to Canada where there are many almost identical issues with the history and current leadership of the country. There is no point in my hand-wringing white guilt for the things my ancestors perpetrated (like the ‘father of Federation’, pretty racist dude Sir Henry Parkes) – I must acknowledge and feel regret, and hopefully make an impact with discussions like these. I will not be voting in elections at home anymore, unless I return home. I am encouraged by friends of mine who work toward an all-encompassing society that, while it is post-colonial, can recognize and work on fixing its flaws and can become a structure that supports everyone. Australia, as well as being beautiful and culturally unique should genuinely be “the lucky country“. Stop the xenophobia leading to racial violence, the mistreatment of asylum seekers, and the lack of support for the lower classes and underprivileged that the current Federal Government seems to enjoy perpetrating. Tofurky pockets! Dude, they’re vegan hot pockets. Oh man, so good. I have these ones and they’re handy for a quick work lunch snack. I got myself a new water bottle recently, and I’m finding it is actually helping me drink more throughout the day! It comes with me to work, and the gym, and if i’m out for the day too. Solid! I’m very fond of Isa Does It, and we’ve still got so many things to try. Right now our constant go to is her “lentil-a-roni” dish, which I LOVE and is so freakin’ quick to put together and you can tinker it if you really like. We use GF pasta, and usually throw in some kale or spinach at the end. It’s a treat with some almond parm on top! I don’t want to link to the recipe where I’m not sure it’s reproduced with permission, so get your hands on the book! It’s worth it. 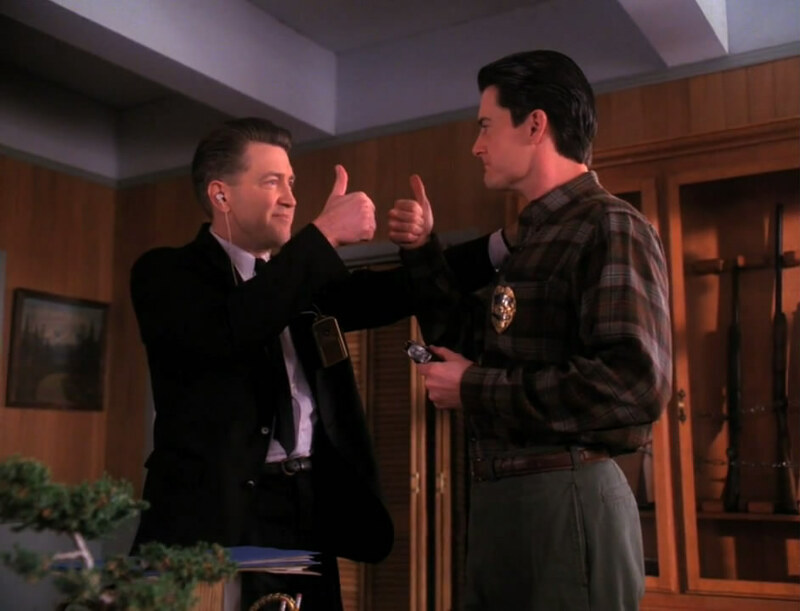 I’ve started rewatching Twin Peaks (my shiny blu-ray set!) in advance of a trivia night at the start of Feb. I love this show so damn much. And I about flew out of my seat when I heard the news Kyle McLachlan will be back for the new episodes. COOP. Book club! My friend MeShell started up the Toronto Veg Book Club, and I love it because it (a) gives me a chance to read books I might not normally think to and (b) I get to get together and hang out with lovely vegan folks and eat delicious food while we chat about the books! This weekend we’ll be chatting about the Lucky Ones, which I just wrote about. And eating all the things at Bloomer’s. CANNOT WAIT. Digital Dozen linkfest – animal edition! If you are an animal lover like me, you’ll enjoy this Digital Dozen of animal-related stuff. Obviously dog-heavy, because have you met me? Lots of vids and images and generally things to warm your Wednesday! 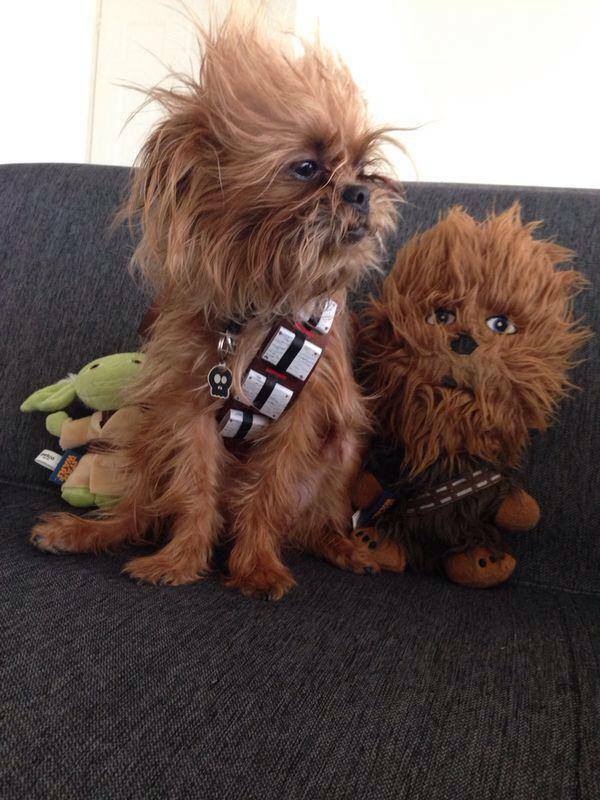 I don’t understand how, but this dog was entered in a Star Wars photo contest and did not win. How is that even possible, when these were the competition?! Outrageous. 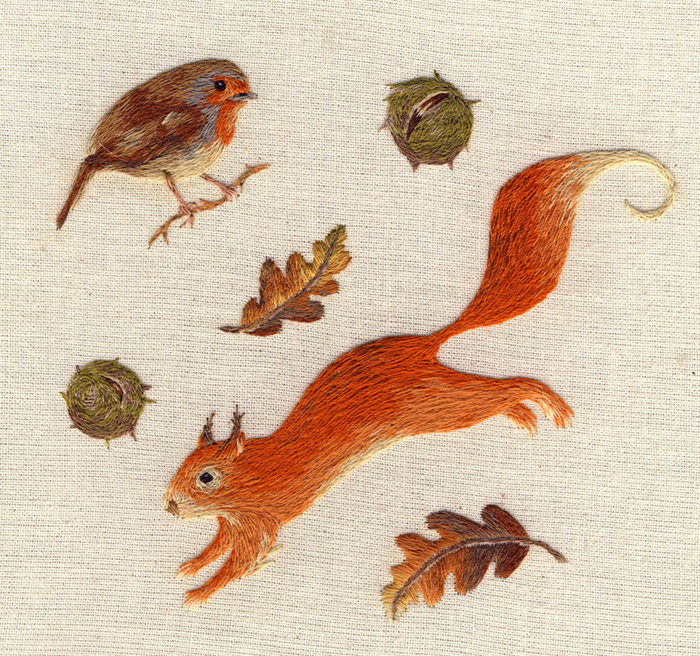 Look at these beautiful tiny animal embroideries. So delicate. Sweet hedgehog who can accidentally play some alright improv piano jazz! His name is Marutaro and you’ll want to see more about him here, of course. This rat knows what he likes, and broccoli just is not it. Hilariously the opposite of my dog Jake who WHINES if you’re chopping it and won’t give him scraps. 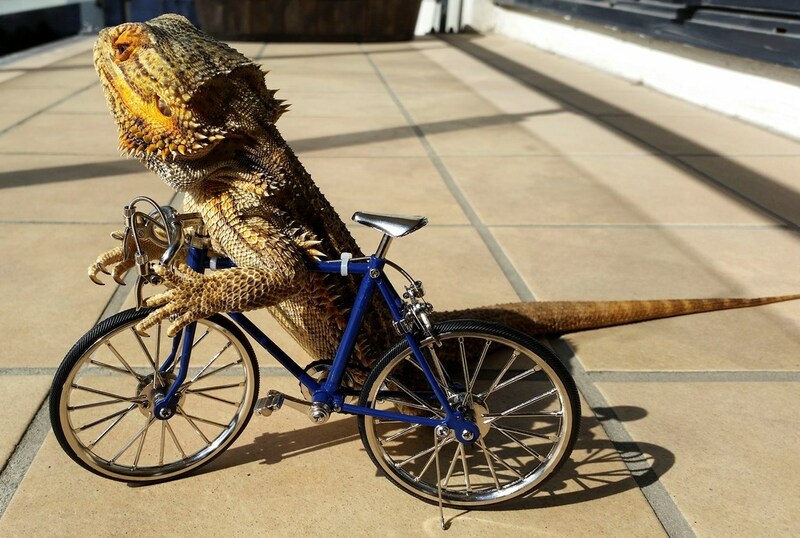 Pringle is kinda the best lizard, am I right? Can dogs see in colour, or just black and white? This is a short, informative video that says yeah, they kinda can see some colour. 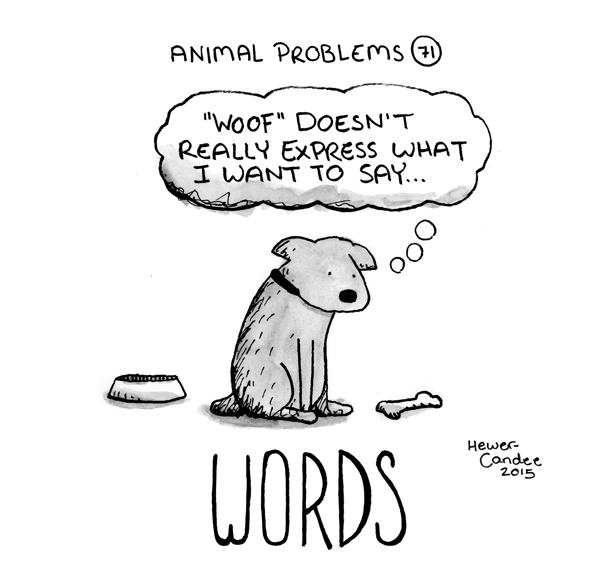 “Animal Problems” is a really sweet Tumblr blog of little illustrations. Kanzi the bonobo makes a fire & roasts marshmallows, because wouldn’t you? Also, how amazing are chimpanzees? Oh man. I love the tentative nibble he gives at the freshly roasted treats. This hamster is such a greedy guts! It’s a small clip of a hamster stuffing his cheeks, then showing an x-ray version of it which is kind of incredible! If only we could all find our perfect chill zone like this cat – watching videos of Slayer from the couch. Back when I was keeping a museum-specific blog (those were the days!) I’d started to track all the museums I’d been to, including museums at or within historic sites/parks, just for the heck of it. It’s quite remarkable to take a look at the range of places I’ve visited, and I am truly lucky to have been able to do so. I thought it’d be interesting to update it and share it here – have any of you visited these? I think this is all of them! Any suggestions for where I can go next? I’m eyeing up Washington DC, don’t worry..
As of May 2017, I’ve visited 162 museums in my life. And for the hell of it, I’ve bolded the ones I’ve worked at, even if briefly. Smithsonian Natural History Museum, Washington D.C.
Smithsonian Museum of American History, Washington D.C.
Smithsonian Museum of African American Culture and History, Washington D.C.
Smithsonian Museum of the American Indian, Washington D.C.
Smithsonian Museum of Air & Space, Washington D.C.
Smithsonian National Postal Museum, Washington D.C.
I’ve had a tough time getting through non-fiction of late. I attributed it to my overall lack of interest in reading due to general malaise etc, but really when I look at it, I just crave something that will pull me in and keep reading, and much of the non-fiction I’ve read of late (ie. the past year or so) hasn’t had a strong enough narrative to do that. 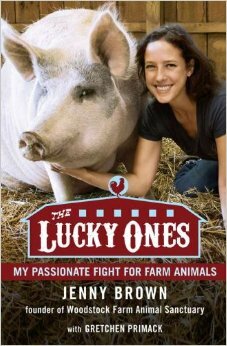 Jenny Brown’s book is a memoir as much as it is the story of getting the Woodstock Farm Animal Sanctuary (WFAS) up and running. She speaks about her experience with bone cancer as a young girl, her struggles with adapting to a prosthetic leg, and her gradual shift from typical American meat-eater (“We eat animals simply because it’s what we’ve always done”) to passionate advocate for animals, and vegan (“We can become prisoners of our earliest indoctrination or we can choose to look critically at our assumptions and align our lives with our values”). I really identified with much of what Brown went through in her ‘awakening’, let’s call it – and also her current approach of educating visitors about the marvels and personalities of farm animals, and what they also suffer through in the farming system. As I was reading through her ‘transition’ chapters, much of it hit me really hard. From her initial backlash against the system “I wore my impatience on my face and slathered my care and chest with bold messages: ‘Meat is Murder! Fur is Dead!’ I was a bitter proselytizer, which was neither pretty nor effective”, to the realization that no matter what, she’d never be able to take part in the system again after what she’d seen going undercover in farms/stockyards “I loved cheese omelets, but now I was haunted by the image of the critters I’d gotten to know, and I knew I’d feel complicit in the ruthless treatment of cows and chickens if I consumed their ‘products'”. It’s also why I appreciate that in the book, while there’s some tough information to swallow as far as how these animals can be treated, Brown talks a lot about these animals and their behaviours, personalities and quirks. There are some times where it can be tough to have people listen to tough information – “faced with uncomfort able truths that involve their participation on some level, people can become very defensive” – that can be a hard balance, getting your message across without scaring people off. While it’s obviously preaching to the converted having a vegan like me read a book like this, I think it’s always important to remember the reasons why I make the choices I do, and not just for the awful truths, but for the wonderful reasons that Brown talks about a lot when she speaks generally of animals, and of the animals she cares for and is friends with (now at WFAS, and in her time at Farm Sanctuary). I think some of these quotes I picked out highlights that.